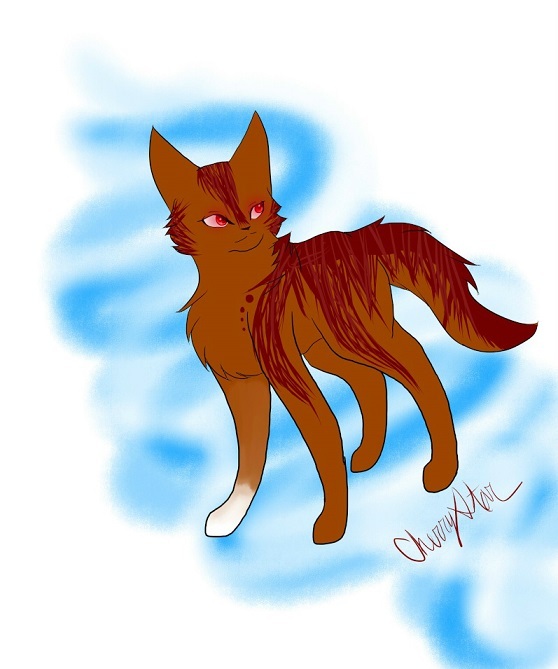 History: Amberkit was found outside SkyClan's camp with her siblings Strikekit, Foxkit, and Mintkit. 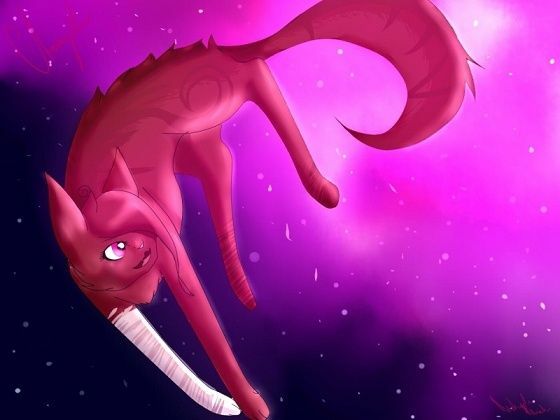 They were brought into SkyClan and became apprentices a few moons later. Amberpaw thrived alongside another kit named Frostpaw, but when they became warriors, Frostbite became Crystalwing's mate. Ambershade was desperate for a mate, desperate for Frostbite to be friends with her again, so she started doing really daring things to get the leader of SkyClan to notice her. She was rewarded when Aspenpaw became her apprentice. He, as Aspenstreak, became Ambershade's mate later in life and they don't have any kits yet. RP Sample: Ambershade flicked her tail, gazing down at Aspenpaw. "No, Aspenpaw," she mewed, gently pressing down the tom's hindquarters. "Tuck in your hind legs a bit more. It'll provide strength when you leap. If you don't, your prey might as well get away. 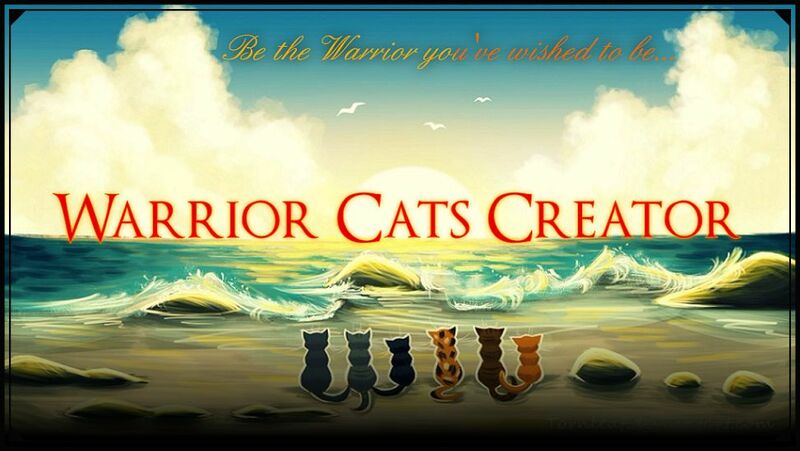 What good will that do for SkyClan?" Feel free to roleplay in almost any topic or create your own. Sorry for the lack of personality. My mind was kinda fried when I did it, and I couldn't quite remember all her personality. No one will see, if you stop believing." I'm were we supposed to do that?